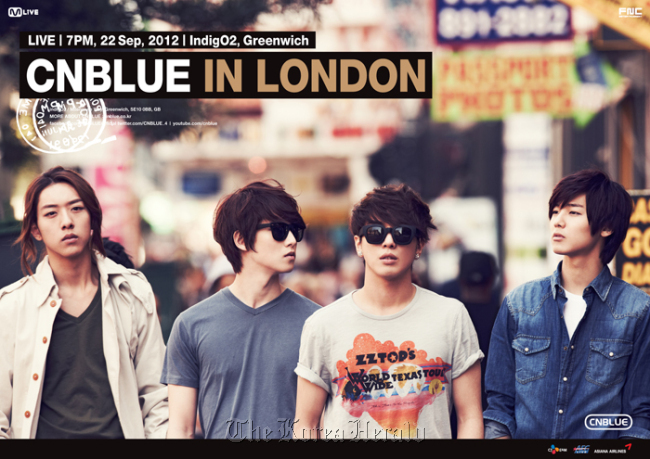 Boy band CNBLUE will hold an exclusive live concert in London, the birthplace of rock music. AEG, a global music entertainment presenter, will collaborate in organizing the concert. “AEG Live also collaborated in the joint concert of FT Island and CNBLUE that was held in March in L.A., and has seen the global popularity of both K-pop and CNBLUE,” said CJ E&M. so out of 13 songs, 7 are new ones with 2 of them are not written/composed by our boys. Not bad… Another joint-composition from JongHwa for the song ‘no more’. Looking forward to that. Hold your wallet, girls! And make the wise decision if you want to keep your credit card balance. DVD contains Come On music video and special feature. I honestly don’t know which one to buy. I won’t buy all of them. From the six, I might buy one or two. My option is prettly likely the Full album, Lawson edition because I love the bonus DVD, it’s live performance. 21. I’m a Loner (Burning version). Two of Korea’s hottest rock bands, CNBLUE and FTIsland, have several things in common: they are both managed by talenthouse FNC Music, they won their first award on a televised music show in just two weeks into their debut, they are known for their pretty looks and are widely popular throughout Asia. 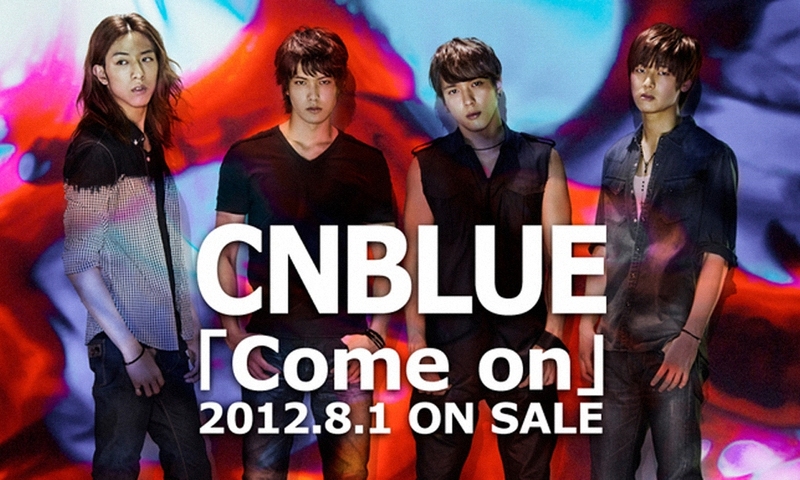 Start with CNBLUE, the four-member idol band composed of Jung Yong-hwa, Lee Jong-hyun, Lee Jung-shin and Kang Min-hyuk, who in 2009, kicked off their singing career in Japan first. They then received a boost to their debut in Korea when leader and main vocalist Jung starred in popular TV series “He’s Beautiful” through which he shot to fame just a couple of months before CNBLUE officially appeared in the local music scene. Then in late July, they held their first-ever concert in Korea, attracting 3,000 fans from Korea, Japan, Thailand, Hong Kong, China and Taiwan which paved the way for their six-stop Asia tour to Hong Kong, Singapore, Thailand, Taiwan and Japan the following month. 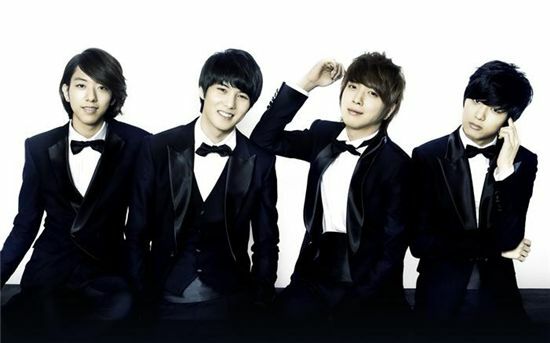 The boys have branched out into other facets of the entertainment industry as well with Jung appearing in MBC’s reality show “We Got Married” alongside Girls’ Generation’s Seohyun, guitarist Lee Jong-hyun and drummer Kang Min-hyuk starring in Korean omnibus film “Acoustic” and bassist Lee Jung-shin strutting the catwalk for a show during Seoul Fashion Week. The boys will be ending this year off with a bang as they are gearing up for their second concert titled “Feel the Blue” in Korea with a show this weekend and another in Busan on Christmas Eve, as well as appearing on various year-end awards ceremonies. Jung Yong-hwa First, we have received so much love after making our debut in January of this year and we feel that we were able to race through the year thanks to that love. And 2010 was a year where we were able to experience a lot, as much as the size of love we’ve received from fans. It has been a memorable year for CNBLUE and we would like to work harder to make next year unforgettable as well. Jung Yong-hwa We have our concert in Busan on Christmas Eve and we’ll take the stage for the year-end show for MBC’s “Music Central.” We are also scheduled to make an appearance on MBC’s “Gayo Daejejun” awards ceremony on December 31 so we won’t be able to enjoy the end of the year like regular people but we want to have fun on stage performing for our fans. Lee Jong-hyun I plan on spending Christmas performing for our fans just like last year and I’d like to look back on CNBLUE’s activities with the other members for New Year’s Eve. Lee Jung-shin First of all, I plan on spending a great Christmas with our fans at our concert in Busan and as of now, I don’t have any other plans besides “Gayo Daejejun” for New Year’s Eve. Kang Min-hyuk We plan to have fun at the end of the year with our fans through our concert in Seoul on December 18 and on Christmas Eve in Busan, as well as participating in various year end award ceremonies. Jung Yong-hwa I will work even harder from now on to create good music. And I will become CNBLUE’s Jung Yong-hwa who will climb higher one step after another. Lee Jong-hyun I will continue to work hard on my music and more than anything, work harder at self-development. On top of that, I will put in the effort to make CNBLUE become even better. Lee Jung-shin First and foremost, I want to improve my bass guitar skills and increase my knowledge of music. And, I want to try my hand at other aspects of the entertainment business like acting or modeling. Kang Min-hyuk In 2011, the first thing that I want to do is further enhance my drumming skills. I also want to learn to play other instruments besides the drum, like the piano and flute, both of which I had forgotten about. Jung Yong-hwa I feel that the year 2010 gave us the opportunity to show the public what CNBLUE’s music is about and it helped increase awareness of who we are as well. Our hopes for 2011 are to work even harder so a wide range of people — from teenagers to the eldery in their eighties — will come to know who we are.